Heading to remote and hostile regions, Stacey Dooley investigates who's really winning this cat-and-mouse battle between the drug cartels and the police. Along the way she reveals the impact that the west's insatiable desire for more potent drugs is having on the people caught in the crossfire. 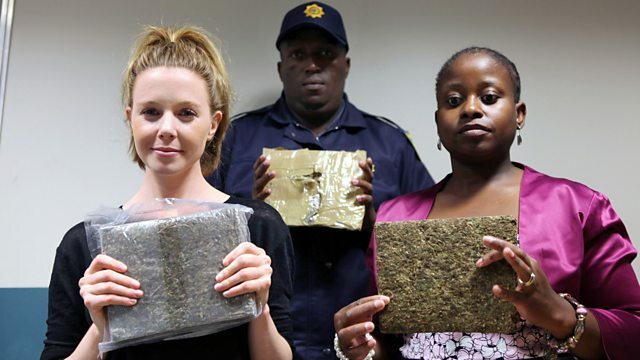 Deep into southern Africa to investigate the new and incredibly powerful strains of cannabis that are being produced and then smuggled into Britain. on the frontline with police at sea in the battle against drug smuggling. With exclusive footage of the Royal Gibraltar Police combatting drug smuggling in the Strait of Gibraltar helping the international fight against drug smuggling from Morocco. By James Neish and Elliot Howe.